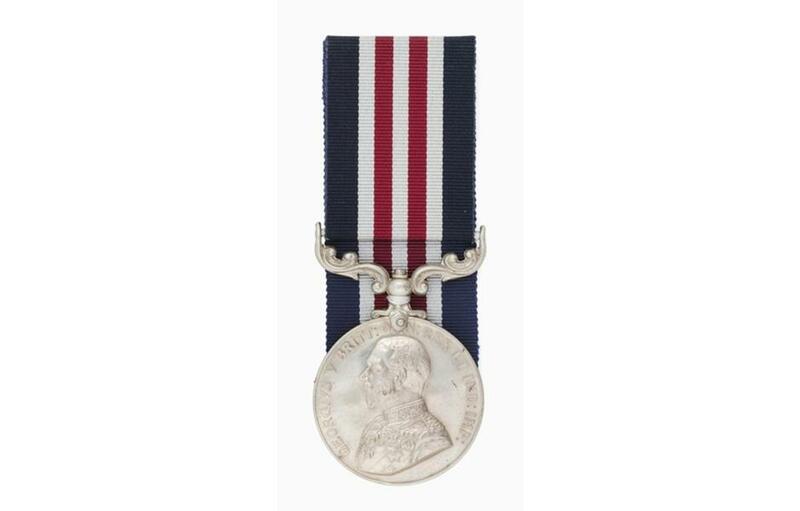 The Military Medal is awarded for individual or associated of bravery or ‘acts of gallantry and devotion to duty under fire’. 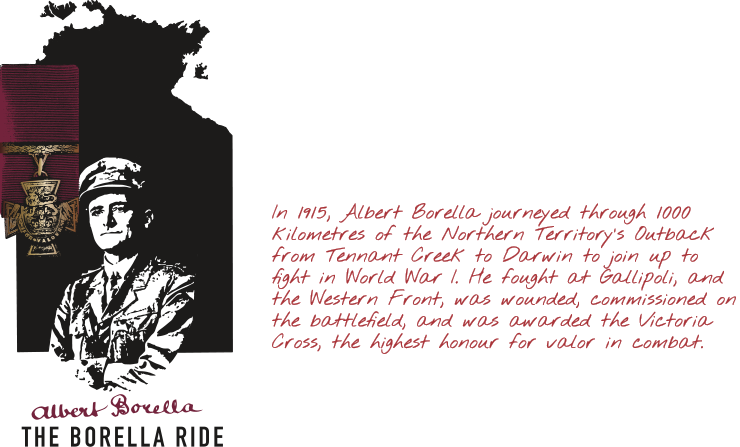 Albert Borella was awarded the Military Medal for conspicuous bravery in the attack of Malt Trench North of Warlencourt on the night of the 1/2nd March 1917. “For conspicuous bravery in action. This Sergeant in the attack on MALT TRENCH North of WARLENCOURT on the night of the 1/2nd March did splendid work. After taking a leading part in the furious fighting on the Right of the Battalion objective he assisted Lieutenant Ward in reorganising the men and consolidating the line. Throughout he displayed the greatest coolness and devotion to duty". Description: the observe shows the incrowned effigy of King George V, with the words GEORGIVS V BRITT OMN. RES ET IND. IMP. to the circumference. The reverse has the crowned royal cypher GRV above the inscription “For Bravery In The Field” enclosed in a wreath. Ribbon has broad dark blue edges flanking a central section of three narrow white and two narrow crimson stripes.